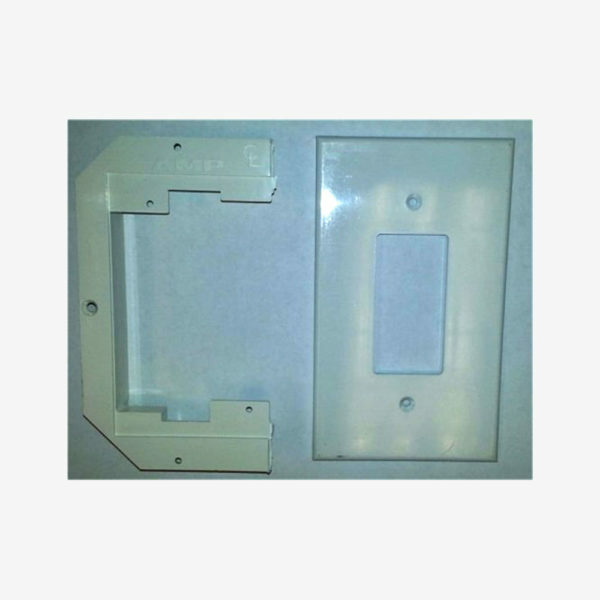 SINGLE GANG CONVERSION BRACKET WITH FACEPLATE – Allows standard size decora switches to fit inside oversized holes used with Smarthouse blocks or wall switches. 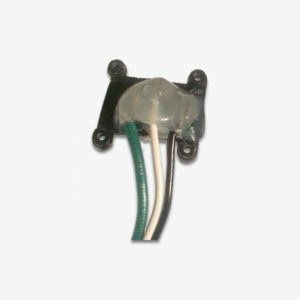 Use to convert an AMP or MOLEX wall switch or lighting block to conventional size. Call to discuss this product before ordering. 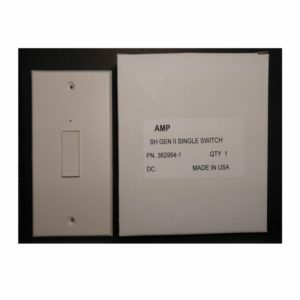 Most common use of this adapter is to replace AMP or Molex wall switches with other brands that have a smaller footprint. 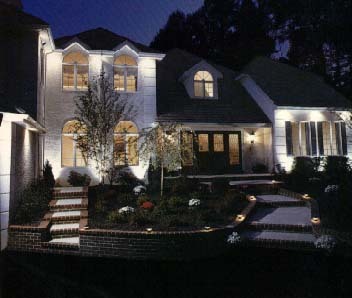 Replacement of AMP or Molex wall switches is rarely required. To reduce conversion cost existing wall switches can be kept as is. Replacement to another brand and size is always optional.